If you are a true Hip-Hop head, to say Jay Electronica and Yasiin Bey performed together is enough. So that’s all we’re saying. In case you are not [yet] a head… go ask someone who is to join you as you watch this. Hmmm… “Poo Bear Presents: Birthday Music” huh? Might not have given it a second thought, but that’s probably why artists drop singles. This “Hard 2 Face Reality” brought in Jay Electronica AND Justin Bieber?? On the same track?? Poo Bear covered the whole gamut of music out here in these streets and suburbs with that lineup, right? Undeniable Pop and Hip-Hop on a pretty cool track. Check it. You know how a basketball commentator will say that an athlete’s performance is inspiring? 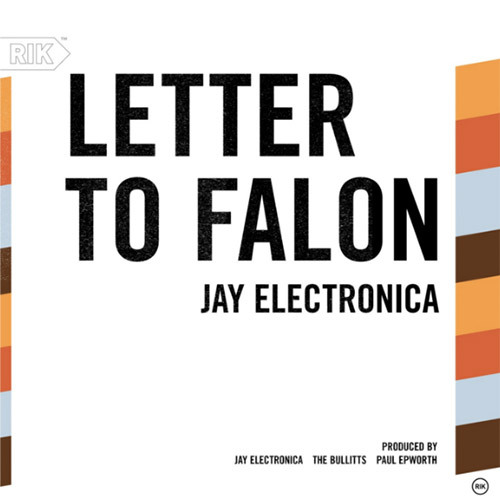 Well, Jay Elec meant it and showed and proved by releasing this “Letter To Falon” track; being inspired by Kevin Durant’s play and playoff performance so far. This joint he dropped is the truth. Play the song to hear the proof. Oh, and for proof that JE and KD clicked like that…hit the jump. Catching up to Jay Electronica wherever is a rare and cool occasion; more so at All-Star Weekend. He gave us camera time, mic time, and now for the Q&A session… Well, there is only one question on every Hip-Hop head’s (including Jay Z’s, apparently) mind: WHEN IS THAT ALBUM COMING OUT, SON?! On Facebook: MF Doom shared Sick Rick’s video. Take this in… immediately! Copies are showing up and coming down across the web. Also, take this for what it is. A rare collabo ‘performance’ by Doom and Jay Elect. Though it hints at the release of a collaborative track… Meh, maybe. It’d be nice. I told you muthaf#ckers me and destiny had a date! In the background… doesn’t it kinda sound like horror movie death screams? Apropos, since Jay Elect is a rhyme monster going for heads on this track – Zimmerman, 50 Cent (heard that ‘contemplating war with 50‘ line in there, right? ), whoever! Listen N.O. flower on his latest entitled “The Curse Of Mayweather.” Gotta be a hated-for-being-the-best thing. You hearing this previously unreleased loosey? Smooth with the roughness! Rough cut, probably never meant for mass consumption… but eff that. Feed on this dopeness in the stream above. Jay Elect only bless with prime select choice cuts. If he is asking “Can I Kick It” with the flow, y’all already know. Dope beat, too. Word around is this “Man Up” from Jay Elec has been around the underground for a good minute. So, if you heard it (or of it), try to keep the sound of your patting yourself on the back down while the rest of us partake of this dopeness. Partake for real, too. It’s a FREE download. Spread the love… of Hip-Hop! Great interview stuff. 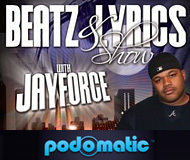 Jay Elect gets to cover stuff fans might consider common knowledge in a new way. Doing so gives those not up on their Electronica studies a chance to catch up. First time in Nigeria. Appreciative and inquisitive interviewers on 99.9 FM The Beat (Lagos, Nigeria). 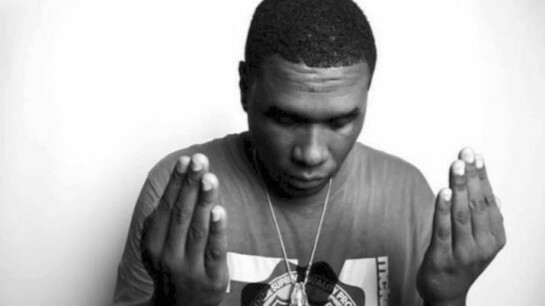 Super Star International Rapper/Producer Jay Electronica was live on The Morning Rush today with Olisa and Maria. The multi-talented producer talks about life at Roc Nation and whats it like to work with Jay Z and a host of others, he also lets us in on his relationship with [Erykah] Badu etc. An experimental, exploratory film based on Jay Electronica’s journey to the other side of the world; and the worlds therein. It’s called “Into the Light” (due out soon). Best described as a meditation in un-learning. A movement in seeing without watching, hearing without listening, and the brave exploration of spirit. Crazy impactful video in the clip above. Whatever it is going to be, it is going to be worth the watch. 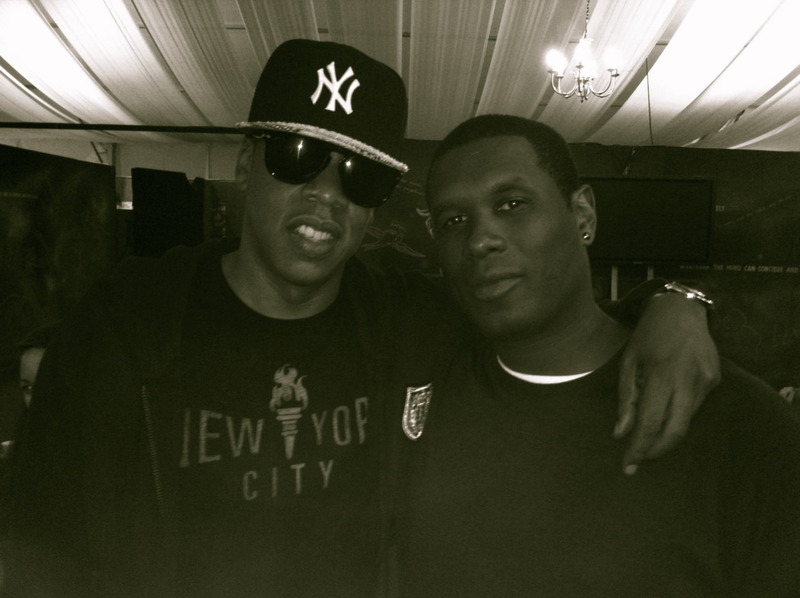 Jay Electronica made his return to the mic at the Brooklyn Hip-Hop Festival… then during his set he brought out his boss, RocNation head honcho Jay Z, to rock the Brooklyn Music Festival the crowd. Not bad. 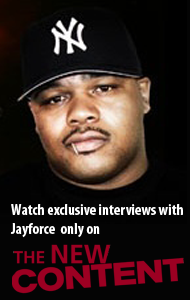 But Revolt TV got candid commentary from a repentant drug-and-alcohol addicted dreamer who is now living his dream. Watch the quick clip above about that. Just a few days after releasing the track ‘Better In Tune with The Infinite’, New Orleans native son Jay Electronica drops another this time featuring Jay Z. I like the use of the soundclip from a scene in HBO’s hilariously funny ‘Eastbound & Down’ comedy to start off the record, but other than the jewels Jay Electronica laced the record with I was somewhat underwhelmed with the song as a whole. It’s just an ‘aight’ song in my opinion & I feel it will also do a disservice to Jay Electronica because most people will focus their attention on Jay Z’s subliminal disses back at Drake on this record instead of on Jay Electronica himself. Personally, I need to hear more Jay Elect, more of Just Blaze’s quality production, & less guest appearances from other rappers on future Jay Elect jawns. 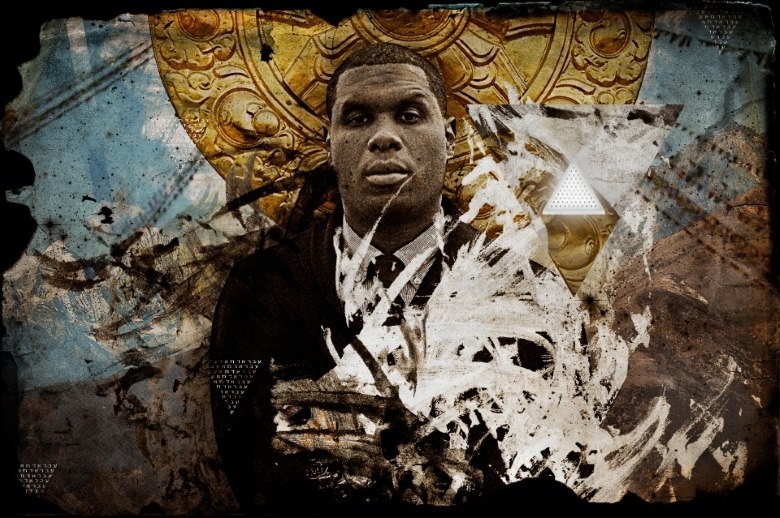 That surprise drop Jay Electronica at SXSW – “Better in Tune with the Infinite” – is already getting love from folks remixxing it across the Interwebs. Here, we have a fine remix offering from Cookin Soul. Check it, and download for FREE. Good chop-it-up session with Jay Electronica chatting with Jason Goldwatch at the SXSW Music Festival for Mass Appeal. They talk about the unexpected release of “Better In Tune With The Infinite” (featuring Latonya Givens aka Tone Trezure) off his “Act II: Patents of Nobility” (The Turn) full-length. The track was dropped at SXSW pretty much because a fan asked. Nice. Get info tibits on that and more from the convo. After being missing in action for months on end, Jay Electronica has been sighted in & around the SXSW festivities down in Texas and shortly thereafter this new piece of music, that begins with something similar to the the classic Wizard of Oz film called ‘Better in Tune With The Infinite’ . Shortly after this track materialized online it sends his fans on the internet into a quick frenzy mostly in anticipation for more. Jay Electronica needs to stop disappearing & reappearing on his fans like the great & powerful ‘Wizard Of Oz’. We’re waiting on the full-length Jay Elect…. 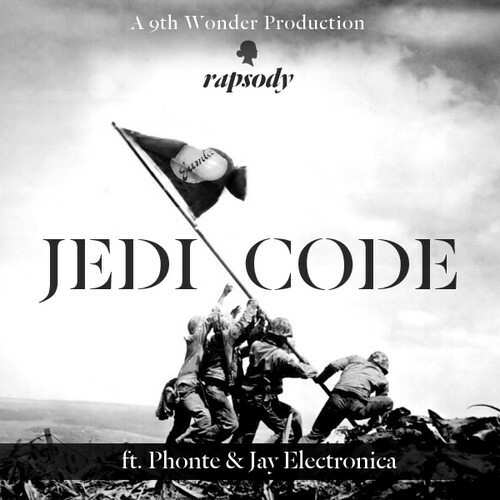 New joint from North Carolina female emcee Rapsody called ‘Jedi Code’ off of her forthcoming mixtape ‘She Got Game’ that’s due to drop any time now. This 9th Wonder produced joint also featured some welcome guest appearances from ill lyricst/singer/comedian Phonte & the ever elusive Jay Electronica. The chatter surrounding Kendrick Lamar’s verse on Big Sean’s “Control” record with Jay Electronica has been slowing but the responses are just coming in. Ironically Hitler was the first to vent his frustration with many rapper’s delays in striking back back at the self-proclaimed new King Of NY. Hilarious. This is the song that damn near shut the internet down last night & STILL has people talking today. This “Control” joint produced by NO I.D. 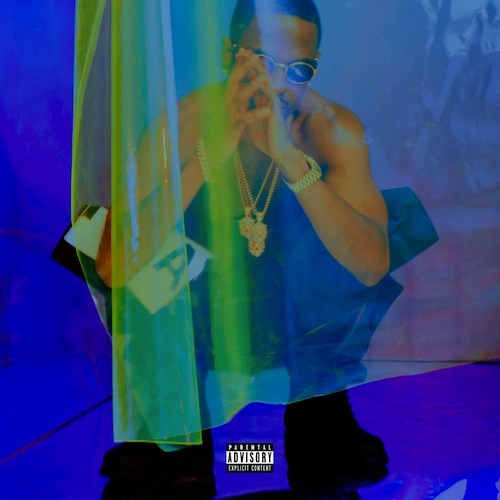 was supposed to appear on Big Sean’s upcoming “Hall Of Fame” album but it was allegedly pulled due to sample clearance issues. I feel Big Sean & Jay Electronica did a decent job, but it’s extremely clear that Kendrick Lamar bodied this joint something terrible. Just what the game needed. 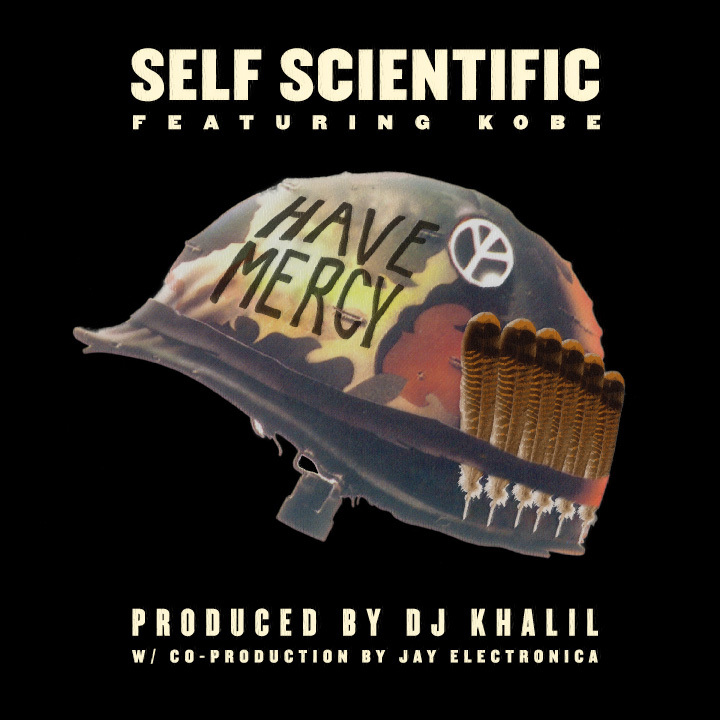 West Coast hip hop duo Chace Infinite & DJ Khalil regroup as Self Scientific with a new single called “Have Mercy” featuring singer Kobe Honeycutt & Jay Electronica with the co-production credit.